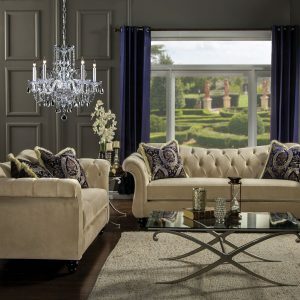 Leave a lasting impression to visitors of your home with this timeless reimagining of the chesterfield sofa. Cues from the classic design are kept with essential changes to bring it to the modern day. 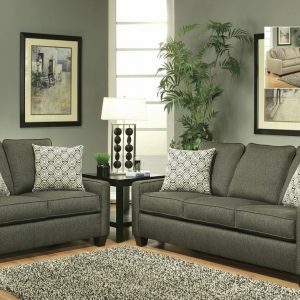 The reverse camelback seat and arms are deeply tufted with acrylic buttons, and velvet fabric is used for maximum comfort. Matching pillows with intricate pattern are included, for an even more upscale look that will sure impress guests and keep them talking.